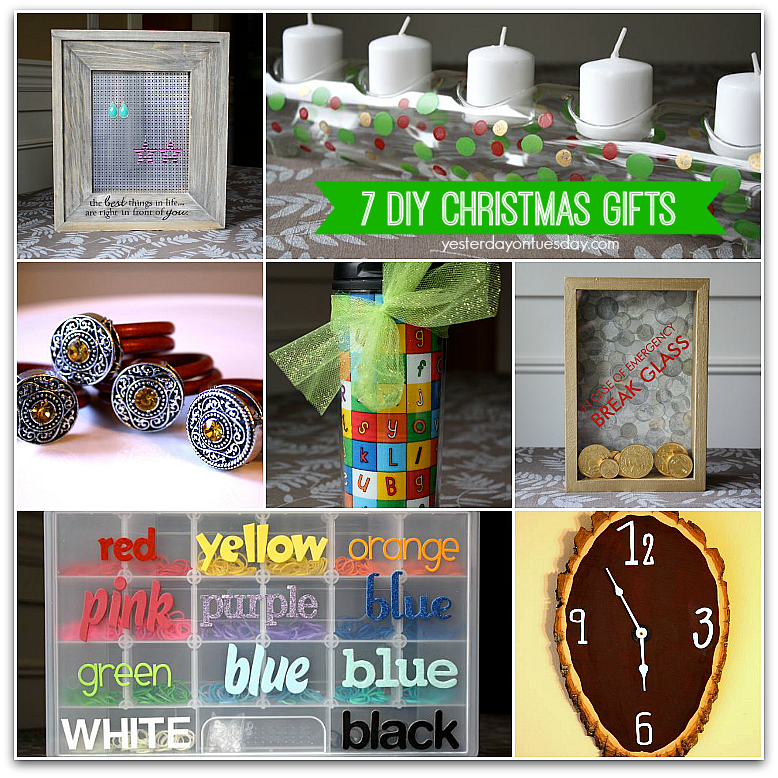 If you haven’t had a chance to buy Christmas gifts for the folks on your list– why not consider making them? There is still plenty of time to create something special! What time is is? 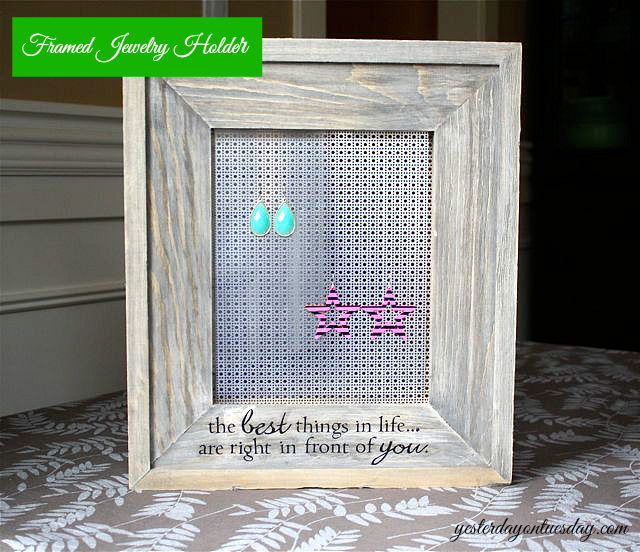 This gift would be perfect for Dad, Grandpa or any one who likes rustic decor. This project is super easy. 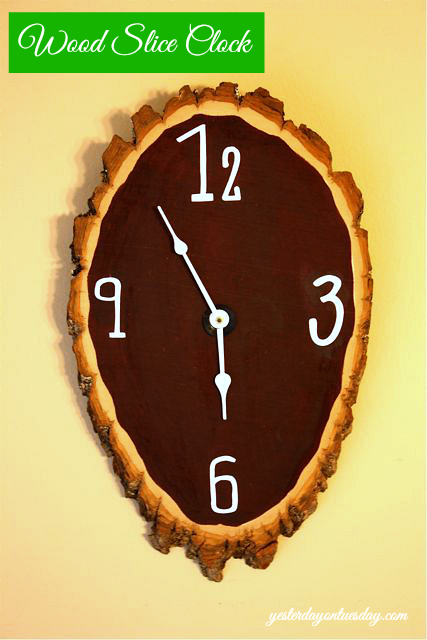 Supplies: Large wood slice, clock motor, clock hands, Rust-oleum Ultimate Wood Stain in Cabernet, metal numbers or acrylic paint to create numbers. You’ll also need a drill and a AA battery. 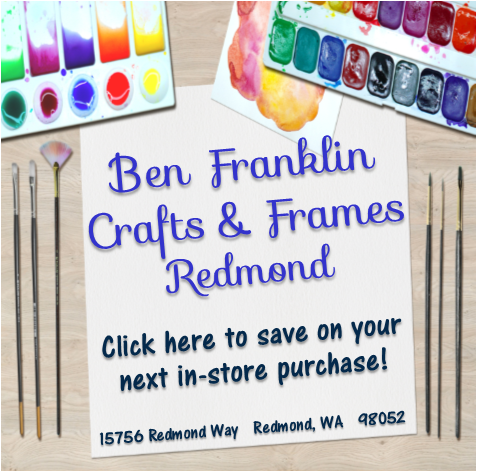 All craft supplies available at Ben Franklin Crafts and Frames Redmond. 2. Drill a hole in the back of the wood piece to fit the motor in (follow package instructions). 3. Add hands and numbers. Many kits include metal numbers or hand paint your own with acrylic paint. Know someone who enjoys entertaining? 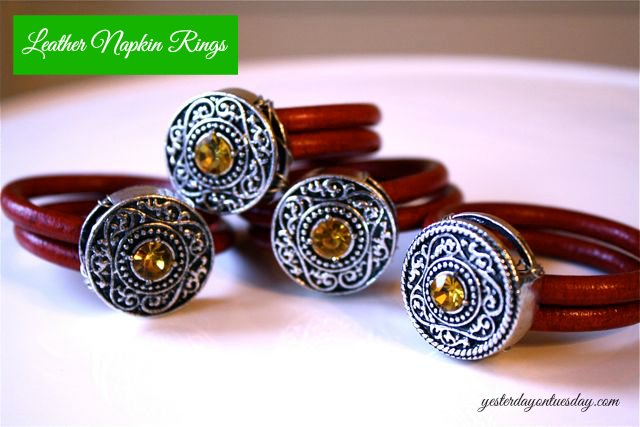 They will love showing off these handmade napkin rings at their next dinner party! Supplies: Leather cording (you’ll need 12″ for each napkin ring), large silver “beads,” metal wire. Note: the leather cording, beads and wire are all found in the jewelry department. All craft supplies available at Ben Franklin Crafts and Frames Redmond. 1. Cut a 12′ piece of leather cord and double it. 2. Use wire to fasten it to the large bead. 3. Insert napkin… you’re done! Let there be light… and let it be festive for the holidays! 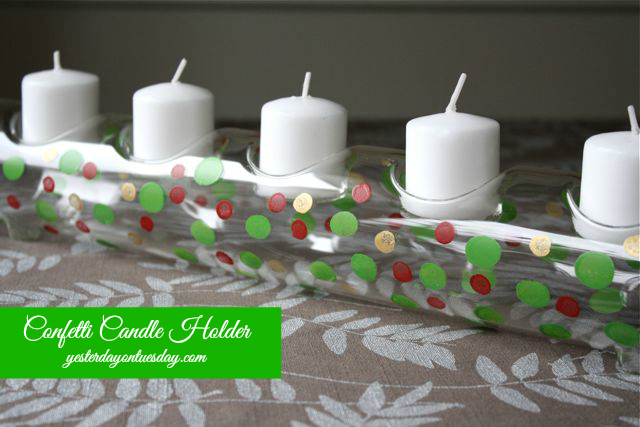 This Confetti Candle Holder is a great project for the kids to make for Grandma. It will add light to her holiday decorations. Supplies: Clear glass candleholder, Paint (we used Americana multi-surface stain), and small daubers. You’ll also need rubbing alcohol and a few cotton balls. All craft supplies available at Ben Franklin Crafts and Frames Redmond. 1. Clean the glass well with the rubbing alcohol and cotton balls. 2. Use the daubers to add different sizes of dots on the glass. 3. Follow paint bottle instructions to “cure” it. 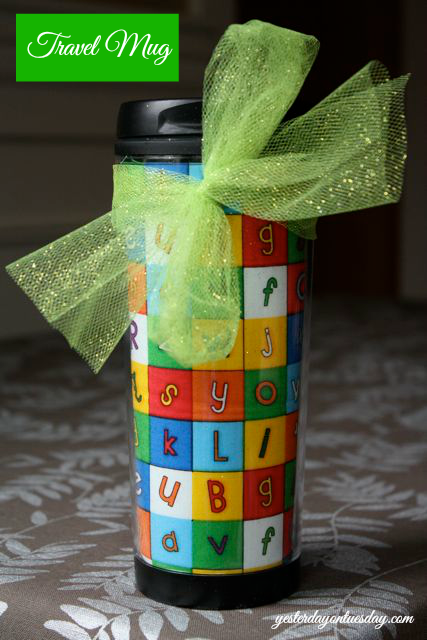 This customizable mug makes a fantastic teacher’s gift. Have your kids draw a picture, add photos, or embellish with a fun piece of scrapbook paper or fabric. Supplies: Plastic Travel Mug and whatever you want to decorate it with! We used fun teacher-themed fabric. All craft supplies available at Ben Franklin Crafts and Frames Redmond. Directions: Unscrew the bottom of the mug and remove the paper liner. Use it as a template and trace it onto paper or fabric and cut it out. Draw on the paper, or add photos… or just add fabric to the mug like we did. The Loom Band craze is stronger than ever! Kids love making the plastic bracelets and necklaces. So what do you get the kid that loves to create with Loom Bands? 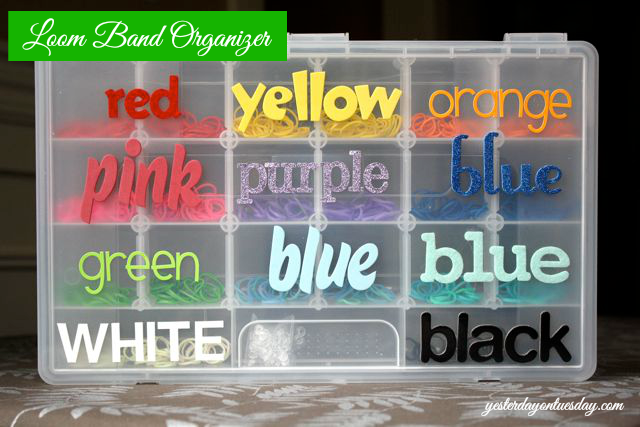 A Loom Band organizer. Supplies: Clear plastic storage box with dividers. Colored letter stickers or paint pens. All craft supplies available at Ben Franklin Crafts and Frames Redmond. 2. 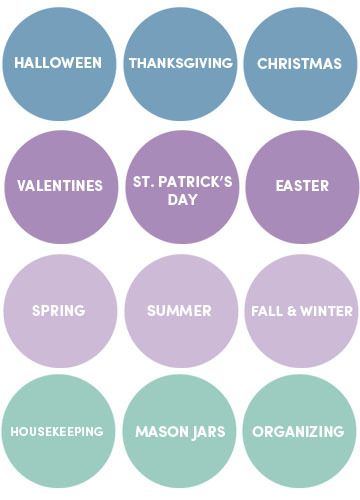 Use letter stickers to indicate which colors go in each section. You and your kiddo will enjoy having these small plastic bands organized and accessible! The fashionista on your list (I’m thinking tween or tween girl) but any accessory loving lady would appreciate this present. All craft supplies available at Ben Franklin Crafts and Frames Redmond. Supplies: Large wood frame, Aluminum Metal Sheets (these are by MD), tin snips or scissors and stapler. 1. Measure frame opening and cut metal sheet to fit, giving a few extra inches on all sides. 2. Staple metal to frame. 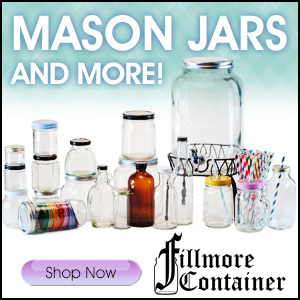 Three cheers for easy and clever gifts! 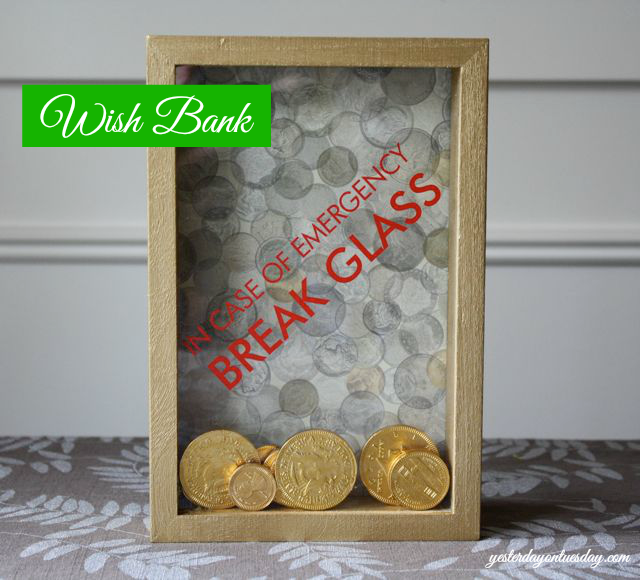 This customizable “Wish Bank” can be tailored to celebrate whatever your child is saving up for. This one was created for a tween boy. The possibilities are endless. Supplies: Wooden Wish Bank, acrylic paint (we used gold), scrapbook paper double sided tape, masking tape, scissors and vinyl words( if desired). All craft supplies available at Ben Franklin Crafts and Frames Redmond. 1. Remove the back of the frame. Use masking tape to tape off the plastic (both sides). 2. Paint the frame. It will take a couple coats but it dries really fast. 3. Using the back of the frame as a template, measure and cut out a piece of scrapbook paper to cover it. 4. Use double sides tape to stick the paper to the back of the frame. 5. When paint is dry, put frame together. 6. If desired, add vinyl to front of frame. Great ideas, Malia! That loom band organizer is perfect for my kiddos! So many great ideas, Malia! I love the leather napkin rings. 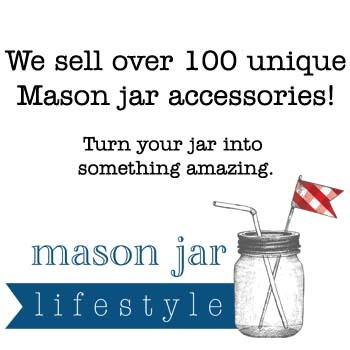 I love finding ways to make every day special through DIY projects, decor ideas and recipes. Proud to be a wife, mom, and hometown Seattle girl. 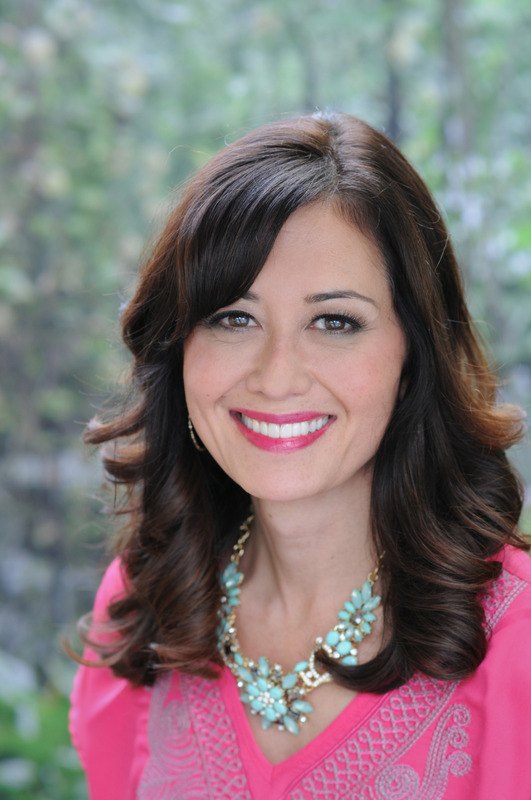 Catch me on KOMO News at 4pm and on Seattle Refined. Stay up-to-date with the latest posts! Visit Malia Martine Karlinsky's profile on Pinterest. Welcome to Yesterday on Tuesday! 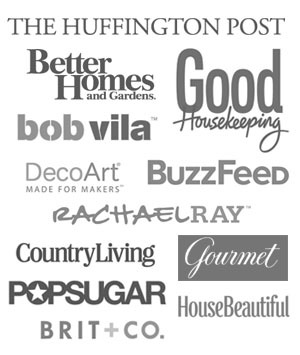 Sign up for my weekly newsletter and never miss my cheap and chic projects, delicious recipes and free printables!